As she spoke about Roots & Shoots, I recalled the small group that started up in Cardiff by the Sea, when my daughter was in grade school. As a family, we participated in several of the activities, and although our daughter was quite young, those experiences and lessons would stay with her. I decided to reach out and re-connect with the parent who started our local chapter, Jessica Toth. While many years have passed and she no longer runs the Roots & Shoots program, I thought it would be interesting to see where the shoots grew from the roots she planted almost 10 years ago with her two daughters, Zoe and Quincy, now aged 14 and 16. What is your current position and title? Jessica: I currently work as Executive Director of Solana Center for Environmental Innovation, an environmental education nonprofit, providing programming throughout the San Diego region. Solana Center was awarded California's highest environmental honor this year, the Governor's Environmental and Economical Leadership Award for our food waste diversion initiatives. How did you first learn about Roots & Shoots? Jessica: While I was getting involved in my daughter's pre-school, exposing kids to environmental concepts, I read about Jane Goodall'sRoots & Shoots program. Roots & Shoots was designed to offer service-learning opportunities to high school students. 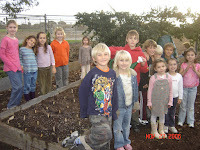 No other elementary school Roots & Shoots programs were listed on their websites at that time. But I liked the concept, and decided to find ways to implement it with age-appropriate activities for children in elementary school. There are definitely elementary schools involved now. 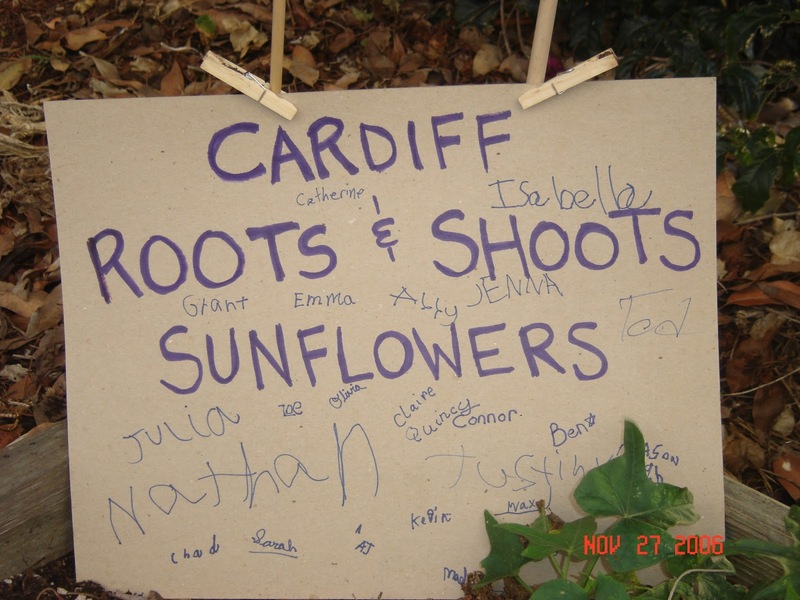 What inspired you to organize a local chapter of Roots & Shoots? Jessica: I felt that kids are not easily connected to the needs of the environment, animals, and people. I wanted my kids to be sensitive to what's around them. By including others in our activities, it enhanced the experiences. I created a program for learning and exposure, which seemed more appropriate for younger kids. While Roots & Shoots was intended more for focused service learning projects for highschool and college students, we did do community support activities, such as beach clean-ups, visiting a retirement home, and donating to the Community Resource Center. What types of activities did your chapter participate in? Jessica: I designed a program in which students and parents participated twice a month -- once through an outside activity and once in a classroom setting. The activities were all local so that participants (kids and parents both) could think of what they'd learned each time they passed the sites. We did beach clean-ups, toured our water treatment center, made animal toys and earned money to donate to the animal shelter, decorated re-usable shopping bags and educated people about avoiding single-use plastics, monitored the quality of our waterways, visited a fish farm, toured the recycling line and our landfill, visited agriculture farms, created a lunchroom recycling program, planted our own school garden, toured City Hall, presented at school assemblies, donated books to kids in need, performed waste audits at school, learned about watershed protection, solar energy, animal tracks, and composting, and more! 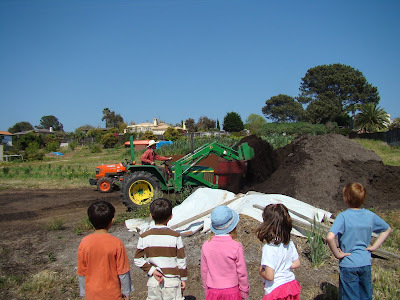 How did the Roots & Shoots program impact the Cardiff by the Sea community? 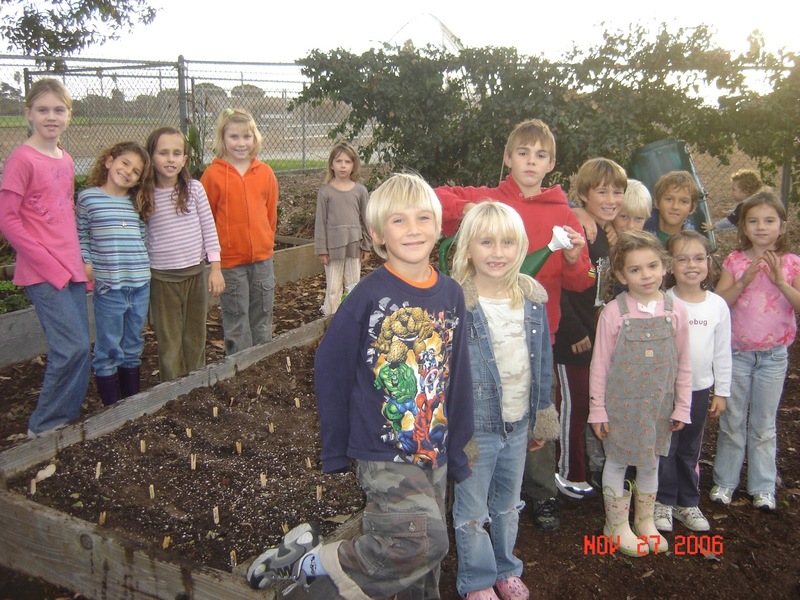 Jessica: When I was still running Roots & Shoots, I began developing environmental programming for the Rob Machado Foundation, whose children were also attending Cardiff Elementary. I folded in Rob Machado Foundation support for recycling cans for Cardiff Schools' athletic fields, reusable water bottles for students, expansion of the school garden, reusable classroom party kits, and a bike rack at Ada Harris. I also had Rob Machado speak at a Cardiff School assembly as we rolled out the lunchtime recycling program. Elements are still in place in the Cardiff School District. For example, lunchtime recycling and the school garden. How has your Roots & Shoots experience shaped the way your kids are growing up? Jessica: I believe that they will each carry the experiences with them forever. Quincy points to her interest in community service. She recently started a soccer league for special-needs kids; this is her great passion. Zoe is interested in working with animals. My kids amaze me with their understanding of the real world, even though they've grown up in a very comfortable, cloistered environment in southern California. From an early age, they understood, for example, that marine debris can impact an entire food chain from brine shrimp and small fish to seals and sharks, as one of them illustrated as a 6-year-old. I think their Roots & Shoots experiences informed them well. We live beside a canyon inhabited by coyotes and snakes. I'm pleased that my daughters are not fearful of animals in nature. How does your family spend (more) time in nature? Jessica: We enjoy time camping in the Sierra Nevada Mountains. We also love to snorkel around to see life under the sea. What advice would you give other parents wanting to make a difference? Jessica: Kids are never too young to learn about their community. It doesn't matter the age; they learn from new experiences, often reflecting back and finding new meaning later. 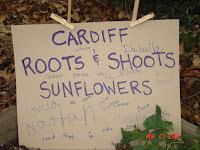 To learn more about current Roots & Shoots projects and search by community, please visit Jane Goodall's Roots & Shoots. And if you are involved in a local Roots & Shoots program, please share your experience in a comment! Many thanks to Jessica Toth for her time and for providing photos. And many thanks, endlessly, to Dr. Jane Goodall for inspiring so many of us! This is a great post.These pictures are beautiful! You have explained very nicely with the help of pictures.Continue writing such a nice blog. It’s hard to discover fantastic composition like yours nowadays.Thanks for sharing.